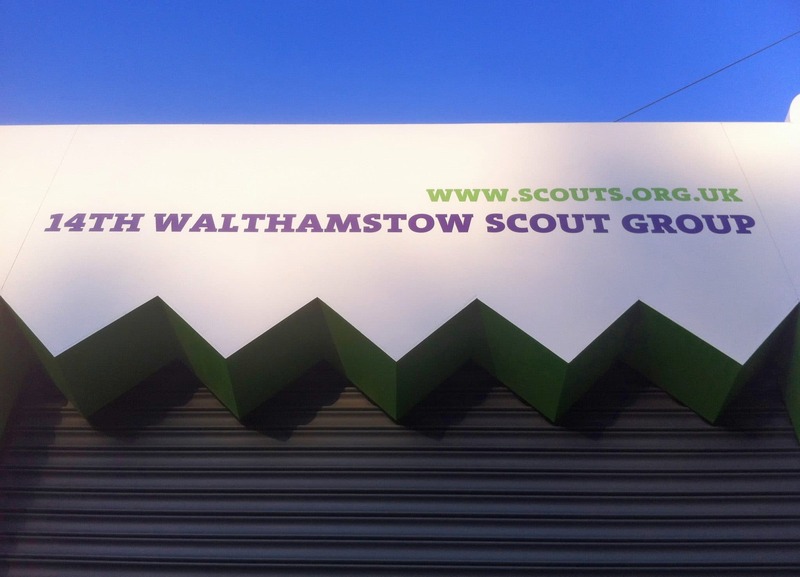 A new frontage completed as part of a high street regeneration scheme for the 14th Group Scout Hall, in Wood Street Walthamstow. 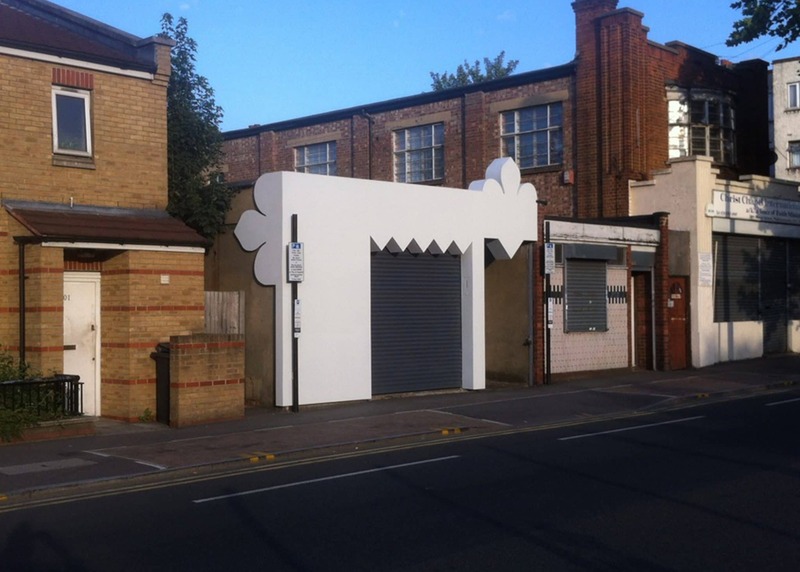 The dilapidated existing garage structure which sits in front of the main hall was over clad with a new surface of white painted Medite Tricoya, CNC cut to incorporate large scale patterns and geometries derived from the Fleur de Lys and triangles found in Scouting uniform. 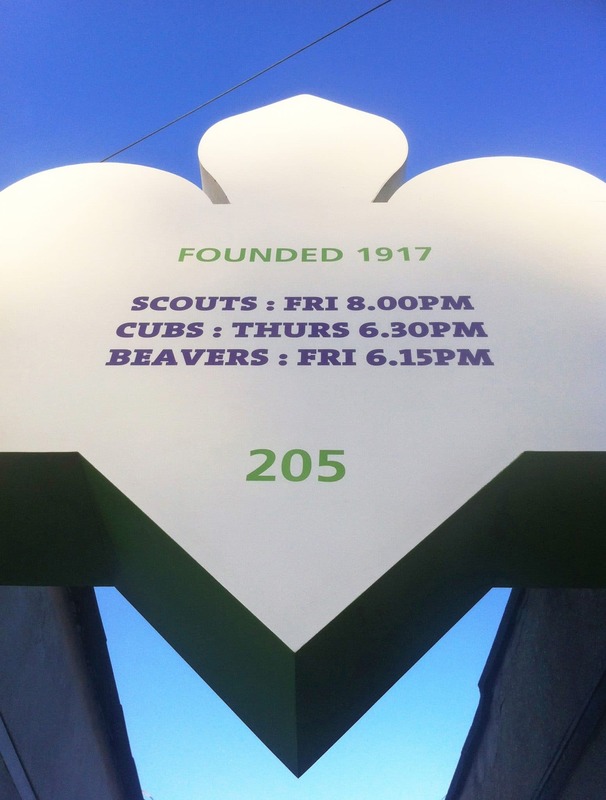 Details such as the Scouting logo, text and new gate are painted in the bright purple and green colours drawn from the Scouting brand guidelines colour palette, creating a distinctive and welcoming modern entrance for the group. 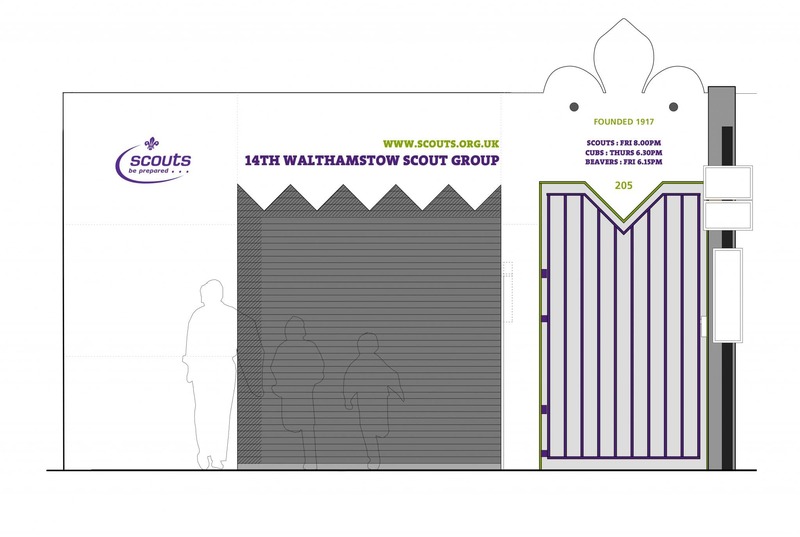 The project also involved engaging with the Cubs and Scouts directly through workshops introducing them to the tools and processes involved in the development of the design and it’s construction and allowed them to get hands on assisting with some aspects of the site clean up and build. Part of the ‘Wood Street Shopportunity’ Project. 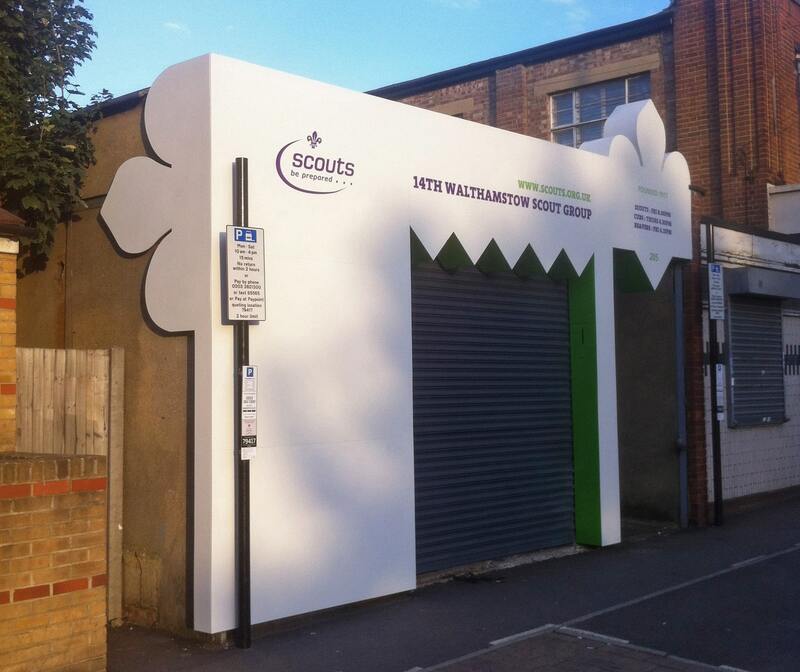 Funded by London Borough of Waltham Forest and the Mayor’s Outer London Fund.